A week ago today we told you about the Apple TV we recently hooked up in our living room. It’s a love/hate relationship so far, and it’s still developing. Instead of going whole hog and Applefying every TV in the house we decided to Pick up a Vizio Co-Star box for the bedroom and pit the two devices against one another in a real-world head to head duel. So far we’ve got a love/hate relationship going with that too, although we’re pleased to report it’s a little more love than hate. The Co-Star integrates seamlessly with your TV and cable box. The first thing to love is the remote. We mentioned that we’re able to control our Apple TV from our phone, with no net gain in the number of remote controls clogging up the coffee table, but the Co-Star’s remote has complete functionality for TV, the cable box, DVR’s, DVD and Blu-Ray players and about anything else you might want to hook up to your TV making it a truly universal remote and allowing us to hide all our other remotes in a drawer. Score! 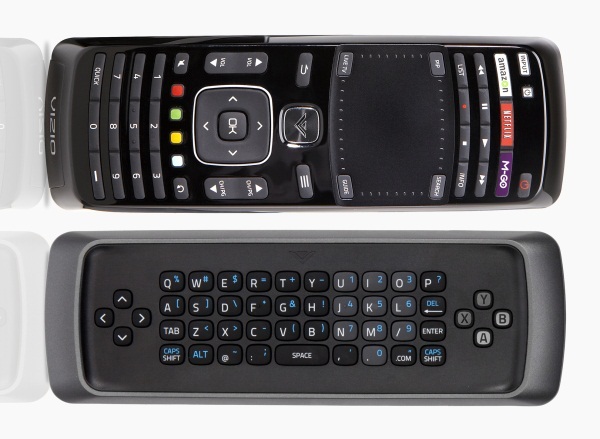 The remote also has a full qwerty keyboard on the back which is a crucial feature, even if it does take a little getting used to. The main reason we bought boxes to begin with was to stream Netflix, and it couldn’t be easier than with this remote, which has a dedicated Netflix button right on its face, as well as several other launch and memory buttons, including one for Live TV. We can even switch off the living room TV and go to bed and pick up what we were watching mid-stream without missing a beat. Both sides of a Co-Star remote. The one area in which the remote needs dramatic improvement though is its touchpad. You can control the cursor on the screen by touching a pad on the remote, but it is usually too sensitive and then sometimes not sensitive enough. If it worked even half as well as the one on our laptop it would be a dramatic improvement and for a product this high-tech it feels like a very cheap feature. The remote also pairs to the Co-Star box via bluetooth, so in theory you shouldn’t have to point it toward the TV, but we’ve found that when typing on the keyboard you need a clear path between the box and remote. 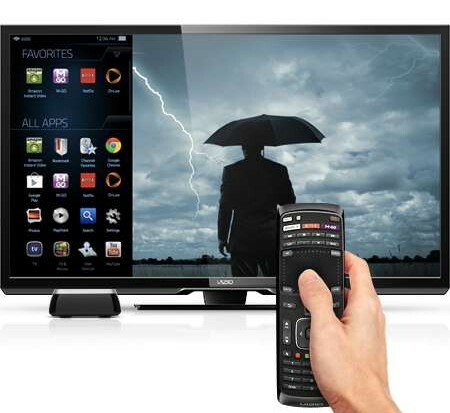 The Co-Star runs Google TV, which means it features Google Chrome and allows you to surf the entire Web. This is a feature that is a glaring omission from Apple TV, and is necessary if you want to stream video from sites that aren’t YouTube or Vimeo, so it’s invaluable to have and becomes even better the more we get used to using it. Another key difference from Apple is that when you access the Google Play Store, you actually can download additional apps to the Co-Star. It’s clear that this tech is still young yet, but we downloaded the Redbox app for instance, which is helpful for opening up streaming options. 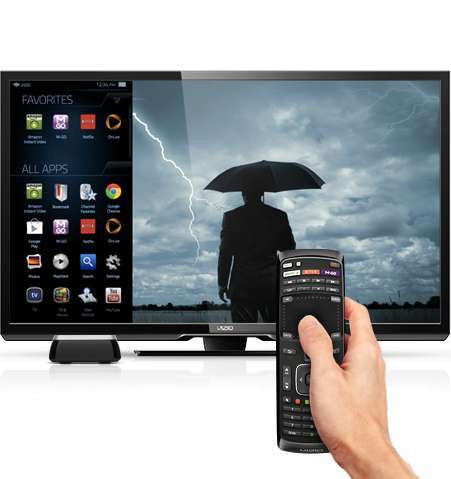 As more apps are developed, the worth of a Google TV device will improve. Unfortunately the Co-Star does have some similarity to Apple TV in that it’s mostly a platform to get you to buy things. It even offers universal search that tells you where movies are available and how much they’ll cost. Whereas Apple is geared toward Hulu Plus Subscribers, Google has thrown in its lot with Amazon Prime/Amazon instant video. We’re not quite sure which of those two would be a better fit for our house, but subscribing to all three seems a little excessive, especially when you consider we’ve still got cable with on-demand. Trying to access regular Hulu from the Chrome browser is not an option, and all it gives you is a message that says ‘No no no… gotta subscribe to Plus cheapskate.’ It’s the kind of thing that is a reminder of just how deeply the big internet companies want to get into your pocket. Beyond Netflix, Amazon and Chrome, the Co-Star is something of a disappointment. One of its big selling points is M-Go for Movies, but all it’s got now when you press that button is a brief trailer that says M-Go is coming soon. It’s also got some sort of video game app that doesn’t interest us and is another thing to spend money on. One feature that we’d love to have and that neither one of our devices offers is an integrated DVR. It doesn’t need to be a giant 6 terrabyte hard drive or anything, but having 30-60 gigabytes built in to record a movie or a sporting event from the TV isn’t asking for much. We’re no expert but we feel like they could even put that in at the same price and keep the product the same size. Imagine putting your iPhone on top of the box… and then stripping away everything that’s not the memory. That’s how little you would have to add to it. But of course the more you record from TV, the less content you’re paying to stream, and that’s what the set-top box game is all about. We like the Co-Star. We even like it a little better than the Apple TV. 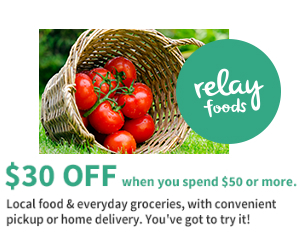 We’d recommend it to a friend at $99. But even though we love/hate it, we don’t love it. This entry was posted in Domestic Affairs and tagged Amazon instant video, Baltimore, buddy box, Co-Star, Google TV, Biaxin 500 mg, Netflix, Set-Top box, universal remote, Vizio. Bookmark the permalink.